The Northwest Slackfest is a two-day slacklining festival brand new for May 30/31st 2015. 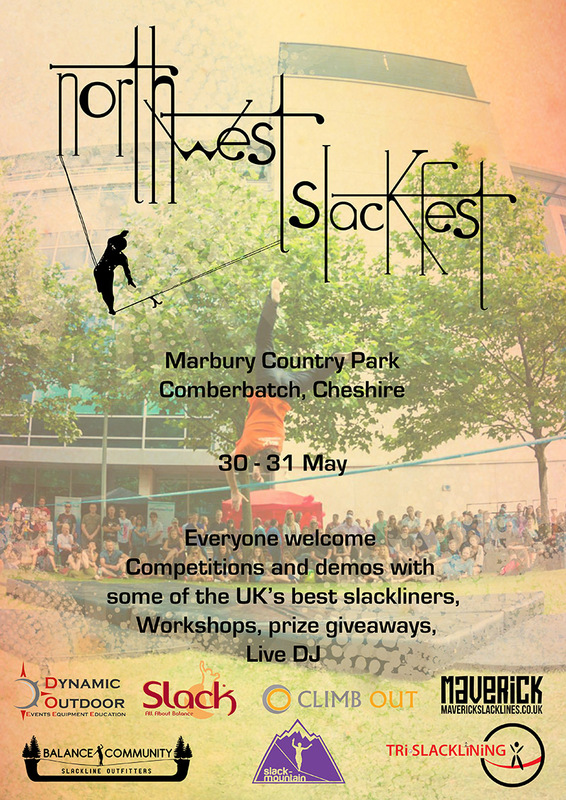 Set in the idyllic venue of Marbury Country Park in Cheshire, the festival will be host to a wide range of slacklines to suit both the eager newcomer and the seasoned longliner or trickliner. Trickline and longline competitions will give those interested the chance to throw down against slackliners from all around the country for a shot at slackline glory, as well as plenty of opportunities for those less interested in competing to improve their skills and potentially take home some prizes. Anyone and everyone are welcome, with beginner workshops hosted by Tri-Slacklining providing a great opportunity to try out the sport and be part of the festival.